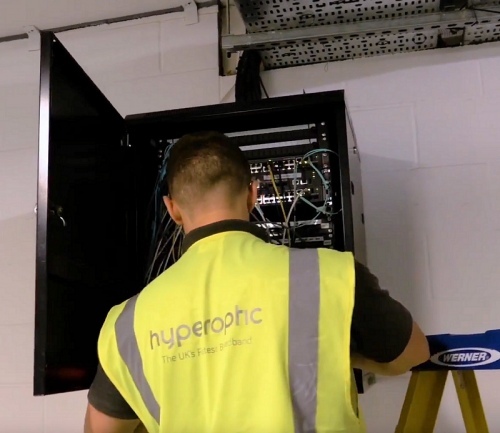 At present Hyperoptic’s fibre optic network claims to cover more than 500,000 premises in parts of around 39 UK “Hyper Cities” (rising to 50 this year), which is usually installed inside large residential apartment buildings (e.g. Multi-Dwelling Units with at least 50 units / flats each) or big office blocks. The ISP is now working with over 200 developers, including some of the biggest housebuilders in the UK (e.g. Barratt Developments, Berkeley Homes, CALA Homes, Bellway and Galliard Homes). It provides an original specification to developers, followed by a cost neutral installation. It then undertakes maintenance at its own cost going forward. On top of that they are one of the few broadband providers to measure themselves on achieving day-one connectivity. For example, back in 2016 Hyperoptic reported a 97% success rate for day-one connectivity and this increased to 98% in 2017, before hitting 99% last year. Achieving this success is not easy and requires close on-site cooperation and planning with clients and contractors alike. The provider has also been targeting and rewarding its employees across the delivery process, which has encouraged more efficient working. 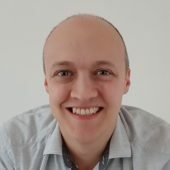 “We understand that developers cannot build out units and maintain customer satisfaction if they do not have day-one connectivity, which is why hitting our 99% milestone and always looking for improvements is a strategic priority for our business. We want to lead our market by example – by always following through on what we say and being there from day one. In fairness Openreach (BT) are also required by Ofcom to publish some roughly similar Key Performance Indicators (KPI), which for example confirmed that at the end of 2018 they had connected 93.29% of new “fibre” (FTTC/P) services on the date that had been agreed by consumers with their broadband ISP. But this usually involves a lead time that can be several days or weeks in length (there are no stats for 24 hour connections). The provider is currently in the process of investing £500 million in order to expand their network to cover 2 million homes by the end of 2021 (here) and after that there’s an aspiration for 5 million premises by the end of 2024 (the latter will need more investment). And that’s taking into account that their installs I’ve seen rely on an Openreach leased line to the building basement! What a joke. Hyperoptic has tried in West London and failed to provide working broadband for 4 weeks after go live. Their engineers are clueless. Do t waste your time with those amateurs. Helps their image that they cherry pick where they deploy. Here in Liverpool and are only interested in affluent areas.